The state of Georgia has introduced the 2008 Entertainment Industry Investment Act, a new tax break for entertainment production companies that includes videogame developers. 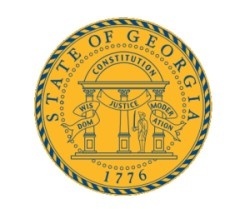 The new incentive legislation features a 20 percent tax credit for all qualified productions, and an additional ten percent credit if the finished product includes an animated "Georgia promotional logo." The tax break covers films, television, music videos and videogames, according to a report in The Weekly Online. Georgia had previously led the way in tax incentives for the entertainment industry with similar legislation in 2005 that saw the economic contribution of film, television and videogames to the state's economy increase from $124 million in 2004 to $475 million in 2006. Since then, however, activity in the state has decreased as other regions introduced their own competing packages; in 2007, the economic impact in Georgia of these segments was down to $413 million. "This new incentive allows Georgia to once again compete for an industry we used to be famous for," said Georgia State Senator Mitch Seabaugh. "It will be a catalyst that will spur immediate economic investment and create jobs. Georgia will once again be on center stage where it belongs." To reflect the impact of videogames on the entertainment sector, Georgia's Film, Video and Music Office, which conducts "business development, sales, marketing and promotional activities" in order to attract projects to the state, was recently renamed to the Film, Music and Digital Entertainment Office. "We expect a significant increase in film and television projects, and Georgia will be the most competitive state in the country for videogame productions," added Bill Thompson, deputy commissioner of the Film, Music and Digital Entertainment Office. "Georgia is one of the few states whose entertainment incentives support the videogame industry."